As solar and other renewable energy technologies spread further throughout society, effectively connecting these distributed means of generation to current transmission infrastructure and expanding and modernizing the grid become ever more pressing issues. Solar Austin is excited to present our July Happy Hour speaker, Raghu Belur, the co-cofounder of Enphase, who will tell us more about the exciting advancements in smart inverter, smart grid, and distributed energy resources technology, particularly as related to the residential market. Enphase has also generously provided for food and drinks at this month’s happy hour. July 25, 5:30 – 8:00 p.m.
Raghu has more than 20 years of experience in the clean energy and high technology industries. Prior to Enphase, he developed high-speed optical communication technology for Cerent, which was later acquired by Cisco Systems for $7 billion. Before Cerent, Raghu was an engineer at the Indian Institute of Science, where he played a key role in the development of an alternative energy gasification system. He co-founded Enphase Energy with Martin Fornage in 2006. Raghu has a MSEE from Texas A&M University and an M.B.A. from the Haas School of Business at UC Berkeley. Because solar and wind energy are both distributed and intermittent, power generated from these sources must be closely monitored in order to ensure reliability of the electric grid and efficient delivery of electricity. This means that cutting-edge technology must be used to upgrade old transmission infrastructure. Solar panel systems, however, require an additional layer of complexity because they only produce direct current electricity. These systems are connected to inverters, which convert the electricity produced to alternating current so that it can be fed into a specific building’s electric system or into the local grid. Although inverters can be expensive and add further complexity to an electric system, “smart” inverters and other new technology can allow us to control and automate specific electrical systems and extremely fine resolution of the grid to make the grid more resilient. Smarter inverters and other new transmission infrastructure can help renewable resources to further penetrate into the market and promulgate throughout the grid—an essential foundation for expanding renewable energy generation to fight air pollution and climate change, mushroom the number of local clean energy jobs, and provide solar to even more people. Our first happy hour of the year is going to be one you won’t want to miss. Georgetown will soon be powered by 100% renewable energy. How is it achieving this goal so much more rapidly than Austin and most other cities? What factors were considered in the decision and what were the reasons for choosing renewable energy? Join us to hear from Mayor Dale Ross, General Manager of Georgetown Utility Systems Jim Briggs and Manager of Resource Planning and Integration Chris Foster. Dale Ross has lived in the Old Town section of Georgetown for over ten years with his wife, Mickie, and their cat Lillie. He has a wide range of experience in the private sector as business owner, public servant and philanthropist. 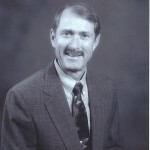 He is a Certified Public Accountant and President and Founder of L. Dale Ross, CPA, P.C. located in Georgetown. In addition to running a successful business, he has provided his professional advice and services with respect to formulating policy and being a steward of the taxpayers’ money in fulfilling his fiduciary responsibilities during his tenure on the Georgetown City Council. He is a member of several state and national professional organizations, as well as local non-profits like the Georgetown Chamber of Commerce, Downtown Georgetown Association, Georgetown Heritage Society and the Sun City Kiwanis. He is the president of the Village Lake Office Business Owners’ Association, and is the treasurer of the Georgetown Symphony Society. He is also a past president and treasurer of the Williamson Museum on the Georgetown Square. In addition to being Mayor, Ross’ service to the City includes a term as District 6 City Council Member, Mayor Pro-Tem, and he was an officer or board member for five other City of Georgetown boards. Jim has served as the City’s Director of Community Owned Utilities and as Assistant City Manager over 26 years. In 2012 when he was promoted to the position of General Manager of Georgetown Utility Systems. As General Manager Jim is responsible for the strategic planning for the utility along with daily operations. Jim has guided the utility through years of high growth as well as times of economic recession; each economic period with its own complexities and challenges. Jim is a graduate of Texas A&M University, with a Bachelor’s Degree from the College of Agricultural Engineering in Mechanized Systems. Jim has earned his certification as a Certified Water Operator and as a Public Power Executive from the American Public Power Association. 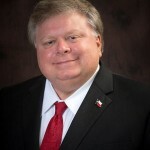 Jim serves currently as a board member and past President of the Texas Public Power Association. Jim is also currently serving on the Brazos River Authority Region “G” Water Planning Board. He also serves as Treasurer to Public Power Incorporated, a for-profit affiliate of The American Public Power Association. In his free time, Jim golf’s when he is not farming or operating the family ranching business. Chris is currently the Manager of Resource Planning and Integration for the City of Georgetown, and has served in the capacity since 2008. His primary role is managing the City’s Municipally Owned Utility power supply. Previous work includes managing payroll for the Health and human Services Commission, fixing computer equipment for CVS and Walgreens, and running his own tech repair company. 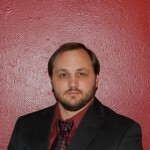 Chris is a graduate of Georgetown High School, holding a bachelor’s in Economics/Finance from the University of Mary-Hardin Baylor, and a Master’s in Public Administration from Texas State. Chris is also a Certified Government Finance Officer through the Government Finance Officers Association. Chris is best known for orchestrating the successful transition of Georgetown’s power supply from a single provider that was over 90% fossil fuel based, to being 100% wind and solar powered by 2017. Outside of energy, Chris acts as the City’s economist and lead contract negotiator including water rights, garbage contracts, technological systems, development agreements, etc. Chris is married with three kids. His dissertation titled “Does Proximity Matter? Measuring the effect green space has on residential water consumption”, and can be found in the Texas State MPA ARP archives. Austin Energy’s value of solar tariff (VOST) has received national attention. Join us to learn more about the VOST from the man behind it and to celebrate our recent victories for local solar in Austin. When: Tuesday, November 19th, 5:30 – 8:00 p.m.
We welcome Karl Rábago to the stage to share his experiences developing the award-winning value of solar tariff with his team at Austin Energy, and advancing it across the nation. This topic is especially relevant because Austin Energy just re-evaluated the value of solar tariff. Karl Rábago was one of the key developers of the VOST at Austin Energy and he’s a champion of renewable energy for Texas and across the country. For a sneak peak of a few things Karl has been working on, check out his blog, Sparks. About Karl Rábago: Karl has over 20 years experience in electricity policy and regulation, energy markets development, and energy technology development. He operates an energy consulting practice called Rábago Energy, LLC — providing strategic, policy, regulatory, and market development consulting in the clean and innovative energy sectors. Karl serves as Chair of the Board of the Center for Resource Solutions, a San Francisco-based non-governmental organization that works to advance voluntary clean energy markets. He also sits on the Board of the Interstate Renewable Energy Council (IREC). You can access Rábago’s short bio here, and his full resume here. No happy hour in June. Parking is usually free in the state parking garages after 6:00 p.m.
State Parking Garages can be found next to, behind and across from Scholz Garten. San Jacinto Blvd., 15th, 16th, 17th, 18th, and Trinity have parking garage entrances. We invite you to join us on for a happy hour discussion of solar goals and programs at Austin Energy and how to ensure that Austin maintains its role as a solar leader in Texas. In April, 2012, Austin City Council established the Local Solar Advisory Committee (LSAC) to develop a strategic plan for utilizing solar energy resources in Austin. The LSAC was a 20-member citizen committee with broad representation from the community and a wealth of expertise on solar energy. Over the course of five months, the LSAC researched many aspects of solar energy and developed a report with recommendations for how Austin should expand development of our solar energy resources. On November 1, 2012, the LSAC unanimously approved the report, titled “A Strategic Plan for Local Solar in Austin“. Austin City Council will soon be working on the 2014 budget, so now is a great time to make sure that the LSAC recommendations are implemented and appropriate funding for program expansions is allocated. Austin has lead the way on solar development in Texas, largely because solar advocates like you have shared your views and expertise with Austin Energy and Austin City Council. Please join us on Tuesday, July 16th at Scholz Garten to hear more about the LSAC recommendations and how we can make ourselves heard at City Hall. Members of our board of directors will speak briefly about the issues and then open the floor to comments, questions and discussion. Advancements in power converters allow modern solar installations to perform more efficiently and owners to monitor their systems accurately in real time. On May 15th, we’ll hear from leaders in the power converter field. Each has decades of experience to share. We hope you’ll join us to learn more about energy optimization. Ray is the president of Draker Energy. He has extensive experience in corporate leadership and general management with over 30 years in the technology industry. Mr. Burgess co-founded Solar Power Technologies in 2009 and served as President and CEO through the successful merger with Draker Laboratories Inc. in August 2012. He previously served as CEO of Teravicta Technologies Inc, a Texas based MEMS switch company and of Tao Group, a UK company delivering multimedia software solutions to the wireless industry. Mr. Burgess spent over 20 years with the Motorola Semiconductor Products Sector and was a member of the executive team that led the company through its transition to Freescale Semiconductor and its successful IPO in July 2004. Draker Energy was founded in 1999. Draker is the global leader in performance monitoring and control of solar power systems. They are the first company in the United States to provide independent monitoring and performance analysis of energy produced by solar arrays. The type of independent energy metering, verification, reporting, and performance analysis we pioneered has become a key contributor to the rapid growth of the solar industry, allowing for validation and enforcement of incentive payment schemes around the world. John has 30+ years of technical experience spanning product marketing, product development, engineering, and project management in high-tech companies. Prior to joining Ideal Power Converters in early 2013, he spent 3 years at Draker working on both solar monitoring and solar power optimization technologies. In additional to his interests in solar and energy storage, John is passionate about sustainable business practices, energy efficiency and water use, and the smart grid. Ideal Power Converters has invented, patented and commercialized a revolutionary new technology that significantly improves the weight, size, cost, efficiency and reliability of electronic power converters – the conduits to modern energy. Based on patented indirect Energy Packet SwitchingTM topology that uses a standard lightweight hardware design and embedded application-specific software, IPC serves the multi-billion dollar power conversion markets of renewable energy, electrical energy efficiency, smart grids and electric vehicles. 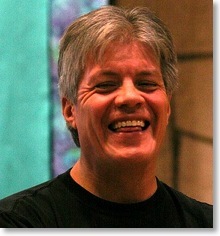 Craig is the VP Marketing at SolarBridge Technologies. He is responsible for strategic marketing, product management, product marketing and marketing communications. Prior to joining the company, Lawrence served in executive roles at SunEdison, a global leader in solar energy, including vice president of products and general manager of Sun Edison’s Residential and Light Commercial Business Unit. Prior to SunEdison, Lawrence led the Energy Practice at IDEO, a global design and innovation firm providing product design, engineering and marketing services to leading renewable energy companies and utilities. Lawrence also led energy investing activities as a principal at Accel Partners, a top Silicon Valley venture capital firm. Lawrence holds a B.S. in Mechanical Engineering from The University of Texas at Austin, and an M.S. and Ph.D. in Mechanical Engineering from Stanford University. SolarBridge Technologies offers solar module manufacturers and installers an innovative microinverter solution that makes rooftop solar simpler, more cost-efficient and reliable. With the SolarBridge AC Module System, module manufacturers and installers can offer their customers a complete, roof-ready AC module solution. With an integrated SolarBridge Pantheon, each AC module can perform its own power conversion. Their on-site and web-based management system completes the solution for 24/7 monitoring of every customer’s system.